It’s true, my friends. I went there as an unbeliever and I came away converted. There is only One True Boss and last night, all of Limerick worshipped at his altar, for truly, this man is the Son of Rock. Praise the Boss and pass the microphone! Bruce, playeth for three hours and one half without pausing or seeking sustenance. 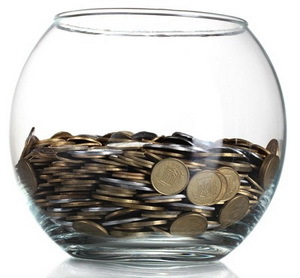 He drinketh the offered pint from the multitude. Nay, he chuggeth it right back for he is the uber-working-stiff. Some knew Bruce was cool, but my friends, I’ll testify to you right here and now that I was an agnostic. Worse, my friends, let me tell you of the great Sin I committed many years ago at the altar of the demi- god, Joseph Ely. Yea, verily do I tell you this: when Ely called forth The Boss at half time, saying unto us, Behold, for this is mine friend Bruce and he will play for Ye, in great wrath I did leap onto the seat and make great commotion even unto Bouncers falling upon me and smiting me. Take him away, I besought the demi-god Ely, for I did not pay mine hard-earned shekels to hear this man. I have come to hear you speak of the Road that Goeth on Forever and the Party That Never Endeth. I wish to know of thy falling out with Billy the Kid and the manner in which he weareth his gun. ‘Twas with great weeping and gnashing of teeth that I bore my burden as my friends prevailed on me to descend from my seat and hold my peace henceforth. No more. I am born again. Last night I saw the Light. I saw many lights. I saw speakers and bass-bins. I saw saxophones, trumpets, tubas, pianos, violins, and that Thing known as Fender that speaketh unto the Soul of Man. I saw him that calleth himself by the name from the Book of Neil: the Prisoner of Rock ‘n’ Roll and he did reach out unto us and gather us to him. Yea! he did say. Yea, yea, yea. And we called back unto him with great pointing of fingers. Yea! And the multitudes did clap and the multitudes did dance. They did hand up their first-born children to sing for him the chorus of Waitin’ on a Sunny Day and truly did all rejoice. Friends, I have seen the light. I once was a sinner but now I have come among ye to spread the word. There is only one Boss and his name is Bruce. I was there last nigh. It really was a great night. 35k peoples, 3.5 hours of rock and roll, no rain, if only every summer could be like this. 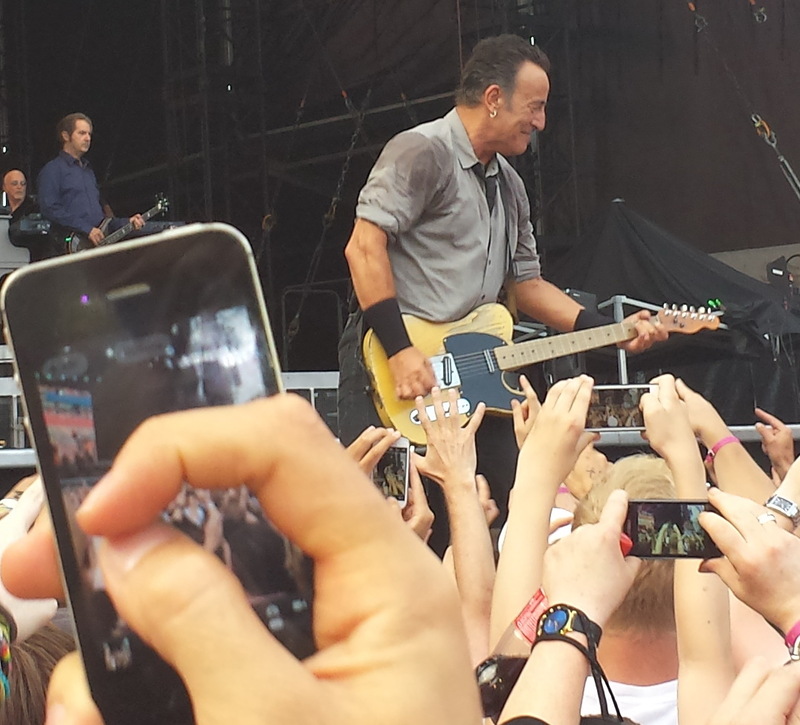 It was great to see Limerick party, to see so many of my fellow citizens put on their Sunday best and rock with Bruce. The city centre was buzzing later, bars open till 2am, everyone on a high. If only every summer could be like this. Saw him many moons ago in the UK, over four hours solid and held the audience from start to end – some performer. Read recently that for him the stage is his escape from depressive tendencies, and one of the reasons his concerts last as long as they do. Great to see him enjoying himself, and made that lad’s day too – a young Bock by any chance? I wouldn’t wish that on any lad. Did he play Ballad of Tom Joad? Saw him do it with Tom Morrello! No. He didn’t. But at the same time, he couldn’t do everything. 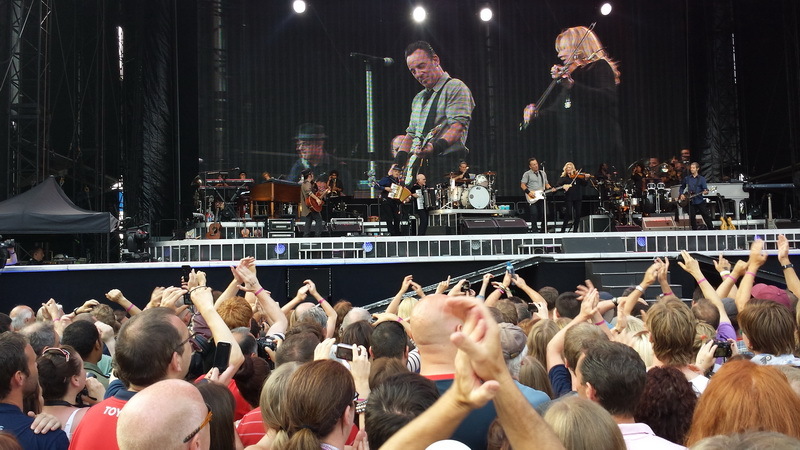 Great gig and he did his complete masterpiece the “Born to Run” album from start to finish. I couldn’t believe my luck! Great night. I had a ticket for Cork tonight, but then got one for Kilkenny and let the Cork one go; the health is not up to going to both. As someone who grew up in a council house in a blue collar community, I find Springsteen’s genius is in his ability to articulate the feelings of the people I know. A lot of people of a certain age and mindset were turned off by the mega stardom Bruce achieved in the 80’s and believed that something with such mass appeal couldn t have worth. Authenticity and mega stardom are a rare combination. I envy those who were dragged along to Thomond and are now converted I d love to be exploring his back catalogue for the first time. This is a good place to start. The Boss was in a pub in Athlacca d’other night for a pint, I was reliably informed. He may have been with the person he bought the horse off for his daughter. He ponied up a quite few bob for the steed according to some reports. Then again, he grossed a couple of million for a handful of four-hour shifts in Ireland. But, hey, he might have bought the nag off the Lurcher Joyce for a “huner pound” on account of the economy. “Two huner and I’ll throw in a sulky boss man”, the Lurcher meant to say. Socialists, meantime, are becoming absolute terrors for buying thoroughbreds. They’re mad for the hereditary privilege of pedigree, so they are. What goes through guys minds? Guys like Springsteen, Bragg, Morello who grew up writing and identifying with the blue collars. Socialists even? What do they do when millions want their albums, millions want to see them, and therefore they end up with millions in the bank? Are they then hypocrites? I don’t have an opinion either way, just wondering what goes through their heads, apart from having a good f*cking time! I think Bruce is well aware of it. Not sure Billy made any millions though. Billy Bragg definitely didn t make millions. Having read Peter Ames Carlin’s biography ‘Bruce’ it s obvious that Springsteen has always had inner conflict resulting from his wealth and status on the one hand and his championing of the working man on the other. We live in a world where certain gifts [sports and entertainment being the more obvious ones] can generate massive amounts of money. That s the system and no one is ever bigger than the system not even Bruce so I guess he works within it as best he can. Philanthropy is an obvious way of lessening the existential anxiety arising from said inner conflicts and Bruce for better or worse has gotten involved in same throughout his career. Its easy to be critical of super stars who are millionaires yet sing about the down trodden but just because you are on the top doesn t necessarily mean you ve forgotten what its like to be on the bottom and the struggles that accompany it. Take a listen at the song I ve linked below called Jack of All Trades from Bruce s last album. I don t think he could have written that without still understanding the pain and humiliation that the majority suffer under capitalism. I wouldn’t begrudge Springsteen etc either. I’d say Bragg isn’t short of a few quid either. I guess the more obvious would be Rage Against The Machine signing with a major record label. On the one hand, I don’t blame them because major label support gave them a platform. On the other hand, railing against “the man” on a major label could be seen as hypocritical. Pointing the finger at RATM here. I think Springsteen has acknowledged how uncomfortable he feels playing some of his earlier songs. The likes of Dylan, not so much, I reckon. @Bock Do you think Dylan should feel uncomfortable playing his old songs? not too sure what you re getting at with that last post. I’d never try to tell anyone how they should feel. It’s just part of the conversation. I’d never tell anyone what to feel. It’s just part of the conversation.